Embrace Qigong and Taichi today ! 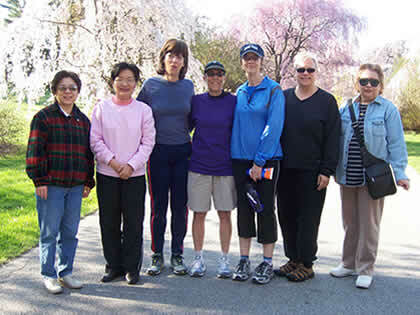 In 2002, Yao Wah Chan started teaching Tai Chi to residents in Hart’s Brook Park. 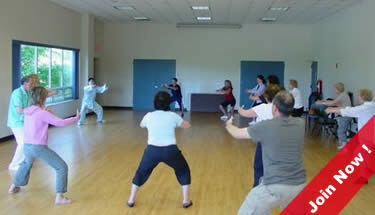 In 2005, Jian-Yang Rong started offering Qi Gong classes to complement the Tai Chi classes. Over the years, our students have found the Tai Chi and Qi Gong classes to be very helpful for their health, stress reduction, concentration and balance. 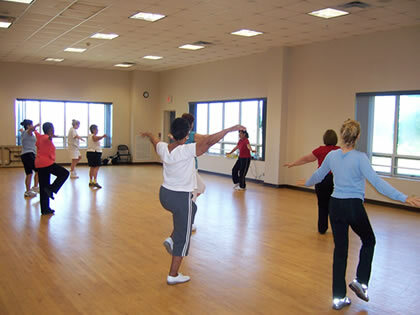 Today, Qi Gong and Tai Chi classes are part of the Town of Greenburgh’s Recreation Programs and held on Saturday mornings at 8:30 am in the Multipurpose Center in Anthony F. Veteran Park. Saturdays have become an important day for Westchester residents to rejuvenate their minds, bodies and spirits. Our program has been profiled in major publications: in the April, 2011 issue of Westchester Health & Life Magazine and in the Scarsdale Inquirer in September, 2008. Please see the offerings page for our latest offerings, and browse the website to learn more about the programs. Simply show up to a class to experience the Qi, and please call or email if you have any questions. Jian with students in the Hart’s Brook Park. Qi Gong exercise with Jian Yang Rong.